It seems that the rumours of a Zune phone debuting at CES 2009 are false, after Microsoft came out and laughed them off like a jolly old uncle at Christmas dinner. 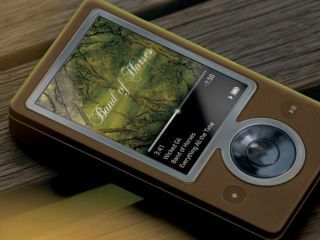 Speaking to Gizmodo, Brian Seitz, Group Manager of Zune said: "No Zune phone at CES." And he should know. The rumours came about after analysts were quoted in Barrons as saying that a phone with Zune software embedded was set to be announced by Steve Ballmer on 7 January next year. Called Project Pink, the rumoured development that has been floating around for a number of months, it was meant to be the rival to the iPhone from Microsoft that many expected. But all is not lost, apparently. The Project Pink idea could still be unveiled, but in the guise of a set of Zune-like features on a number of different hardware sets. Who knows... but it seems Microsoft have a long way to go before the Zune can be even remotely called a success.